Let us travel back in time few hundred thousand years ago to meet our ancestors, Neanderthals, who were the most recent archaic humans who inhabited Eurasia from around 350.000 years ago and gradually had disappeared by 25.000 years ago. Similar human population lived at the same time in Africa and eastern Asia, but the best research was done on Neanderthals because their bones and artifacts stayed well preserved due to the many limestone caves all around Europe and Asia. 40.000 years ago, climate started to change, Cro-Magnons, more modern humans came in Europe (from Africa), started to interbred with Neanderthals, so after more then 10.000 years original Neanderthals gradually disappear. Neanderthals were one of the most successful humans - they survived over of quarter of million years by adapting to the extremely cold climate of the Ice age with their short muscled bodies and strong skeletons. they cared about ill, disabled and old people. 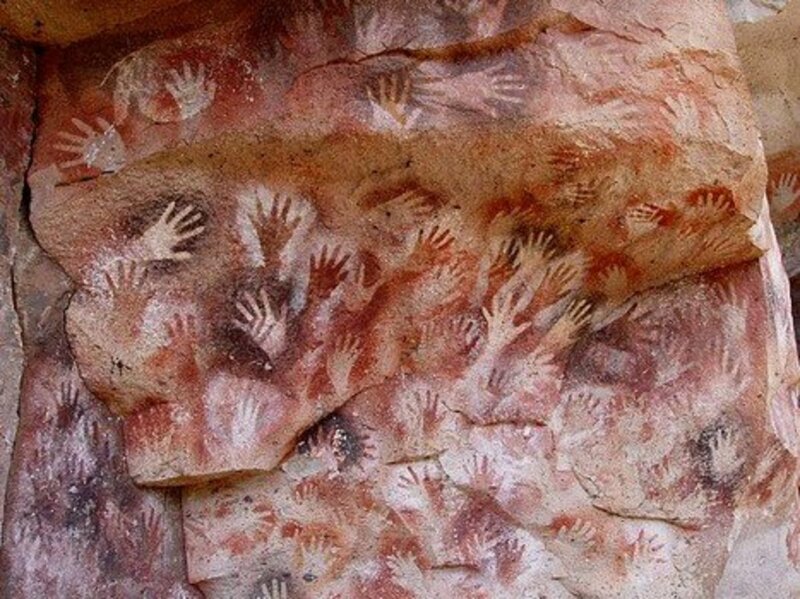 Now is known that Neandertals also created art: altough their strong hands and fingers was not able to create such sophisticated artwork as Cro-magnons could. 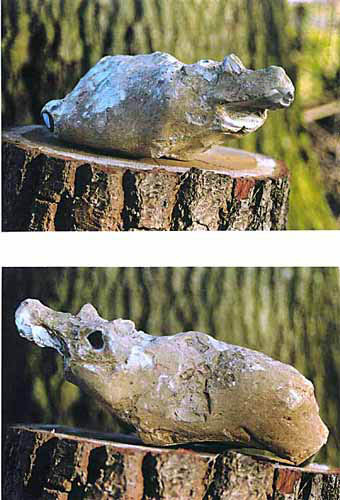 Recently it was found many artifacts which show that our ancestors had imagination and developed articians abilities. The most recent archeologic findings amd recent reconstrucions of their faces definitely are changing all our prejudices about "cavemen". It is known that life was short at that time,due to the difficult life conditions, the longest was cca 50 years. 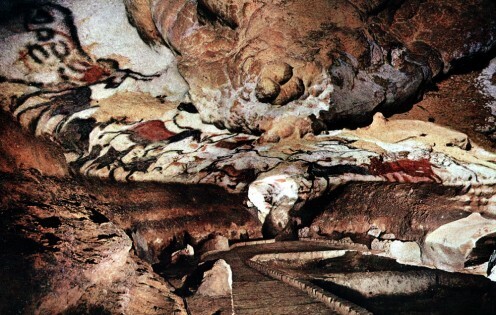 Neanderthals used stone-tools and fires and lived mostly in caves. Caves were also their sanctuaries. They performed rituals for success in hunting, fertility, healing, for newborns and funerals. 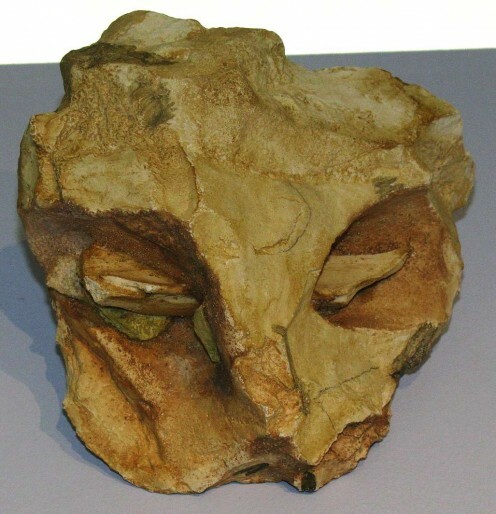 This face-mask above was made of flint and bone from late ice-age deposits at La Roche-Cotard in France and is 35.000 years old. 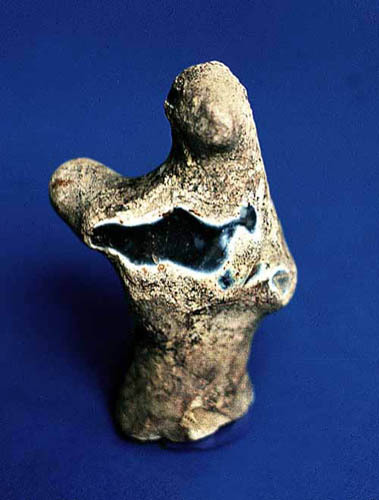 Art of Neanderthals was mainly connected with their spirituality and the most artistic artifacts were found at the sanctuarities of the Neanderthal people. There are many figures of Goddess, zoomorphic figures, but also the portraits. They also made instrumens as bone flutes. The flute bellow play Mi, Fa, So, Lah (as it is broken), but was able to play full scale of tones!!! All these amazing sculptures were created by the imagination and hands of humans from Middle and Earlhy Palheolit. They were special and very gifted people. 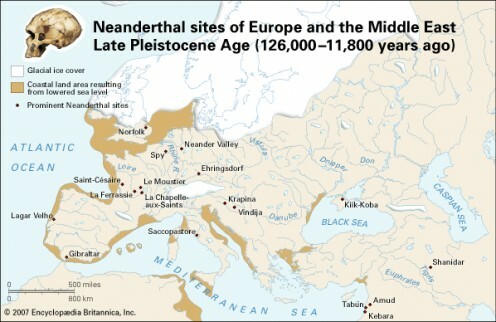 It is assumed that there was no more then 15000 Neanderthals, but the real proof for that does not exist. The main reason why they did not developed more, was cold climate were was main priority - to survive. 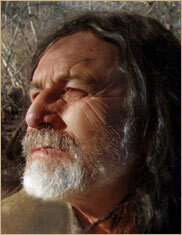 Cro-Magnon people started to occupy Europe 40.000 years ago when climate started to change. They were coming form sub-Saharan North Africa, to the southern Greece, from where they started to spread to Europe and Asia. 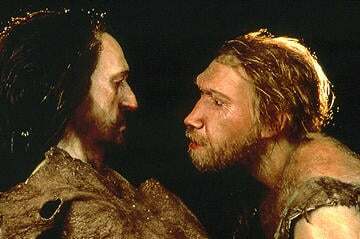 They were mating with Neanderthals (hm, knowing the human race it would be very strange if they did not), so 2 human races started to mix together. The result was gradually change in the physical characteristics of human race. Last original Neanderthals disappeared 25.000 years ago. 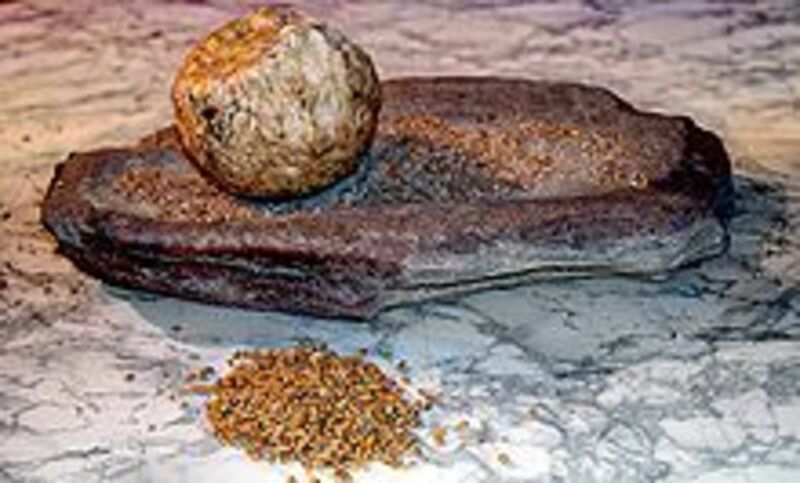 With arrival of newcomers, and warmer climate face of Europe started to change: there were many new innovations made on all fields of human life, style of life change, people started to harvest their own fields, invented wheel, tools become much more sophisticated, which was preparation for modern style of life. 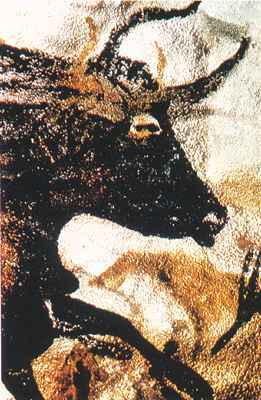 Bellow are photos of beautiful paintings in Lascaux cave in France, these paintings were done by Cro-magnons. 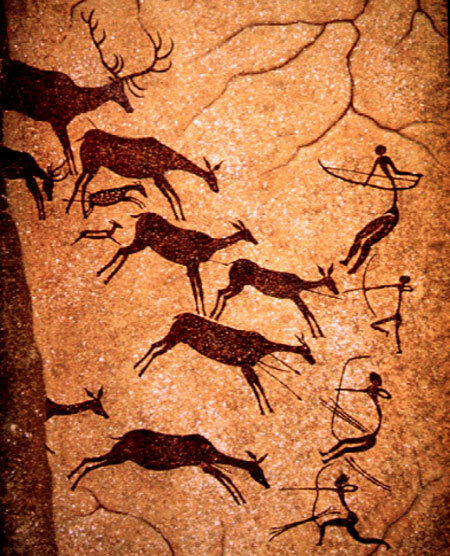 Their extraordinary paintings of animals and scenes of hunting, were part of ritual before they hunted, ritual was performed to create successful result. The problem with full acceptance of our Neanderthal roots also must occur when we see our evolution as linear: from ape-like creatures few millions of years ago to the modern man. But what if humanity is much older than we think it is? What if development of human society and human consciousness is not as linear as we try to percieve it? Through the written human history we see that civilisations raise and fall, after some time new ones raise again, but not much more then the one was before. Ups and downs are happening all the time, so we still know just little part of human history. Linear concept of time is modern one. It very differs from Indian concept of history of humanity (Vedic cycles) and cosmic concept of old Greek thinkers who were also mentioning cyclic raise and fall of civilisations many times in the history, much longer then we can imagine .In the teachings of Plato, Pythagoras, and Empedocles on the transmigration of the soul, time was conncected with the cyclical patterns as well as development and falls of human society. At least we can wonder... Maybe we can find some new answeres about human history only by using our non-linear imagination and curiosity, without that characteristics, we would not be real humans. It won't come as a surprise to anyone wandering around Britain's city centres late on a Friday night. But scientists have discovered that most people have a little bit of Neanderthal man in them. Eurasia was theirs for 200,000 years. Then the newcomers arrived. Read the story from the September 2008 issue of National Geographic. one is last part of the BBC documentary "Walking with the cavemen", which uses linear concept of time and assumes that apes were the oldest human ancestors. I just have to wonder if this theory CAN be correct: from apes to fully developed humans, in just a little bit more then 3million years? hmmm...too short time for such a change including complete DNA change : movie do not give answer how we could bridge the huge DNA difference between us and apes: we have 23 pairs of chromosoms and apes 24 pairs what means that we are completely different species. Such extreme DNA mutations just do not occur at least not so drastically and quickly. Besides that, this documentary gives some good informations about climate change connected with migration of Earth population, and is beginning of presenting Neanderthals on more human and positive way, altough still far from what new findings prooved. Second video is "Neanderthal" which presents Neanderthals on the "old way", the problem is that kids around the world are still watching it in the scools. In the movie, there is so little human feelings shown: Neanderthals were almost animals, and Cro-magnons ruthless invadors. Author was not able to embrace the concept that the both races had fully human characteristics. 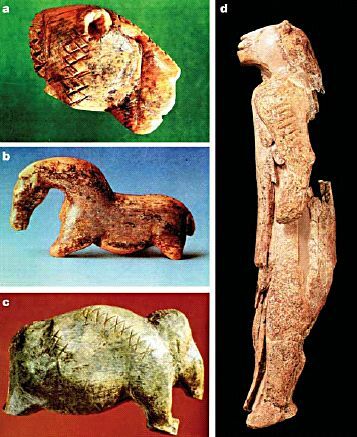 I hope, that new findings about style of life of our ancestors will change old human attitudes more quickly, and that we will be soon able to watch something what is more connected with real life of prehistoric people. I hope that my Hub will inspire you, as writing it inspired me to change the view towards our prehistoric roots. Humans at that time were much more "humans", then we were thaught in the scools, we just needed to see their true faces: while looking at them, everything becomes very clear. They were...just like us. Sorry. This article is poorly researched. We do not know what Neanderthals looked like, only how they may have looked based on the few remaining fossils that have been found. Who made these figues shown in the photos? On what were the figures based? There is no information. 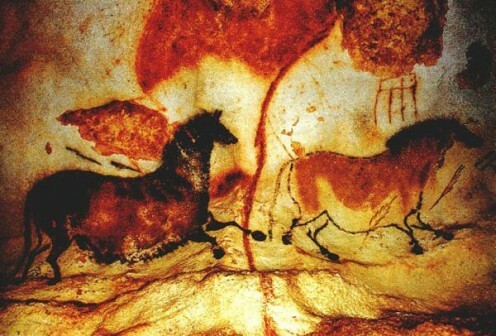 Also, where is the evidence that the art works were produced by Neanderthals? None is given. You also need to edit your English more carefully: there are many irritating errors of grammar and syntax which make your writing awkward. None oof the videos at the end work. The account has been closed. 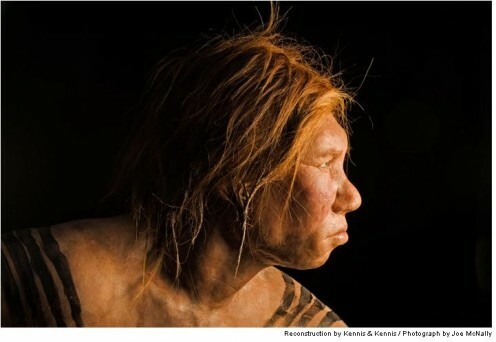 Hi Tatjana,, thanks for your great article with all of the photos.. please review my article on the findings of this past year following 2010 mapping of the complete Neanderthal genome.. I will follow your hubs. 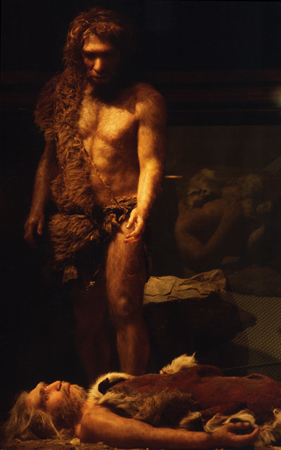 I found the reconstruction of the Cro Magnon interesting. The hair, the pigmentation, those wrinkles. It has been established that the genes for lighter pigmentation of skin, hair and eyes are only 8,000 years old. 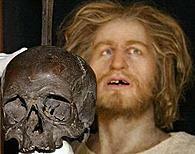 Cro Magnon was not light skinned. 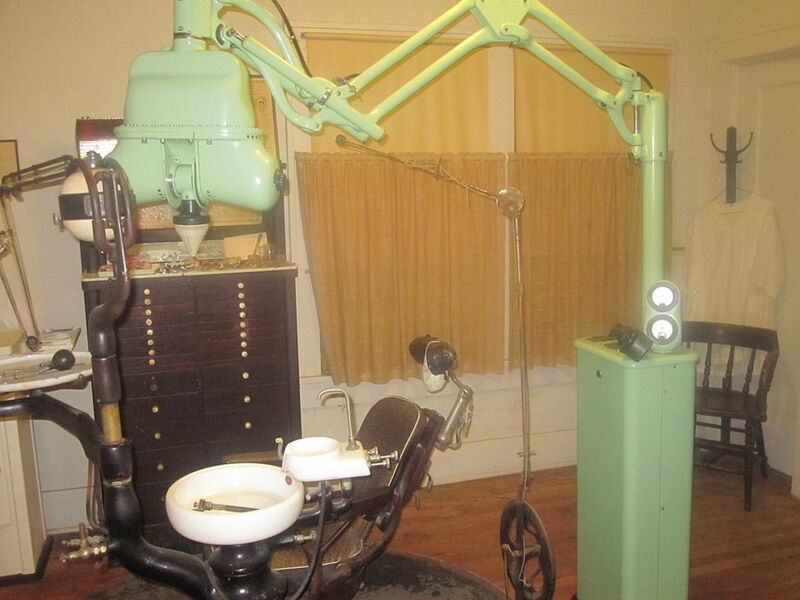 I think the reconstruction is imaginative considering the "Old Man" had his face eaten away by pathogenic fungi. Try to be realistic when using reconstructions of ancient humans. 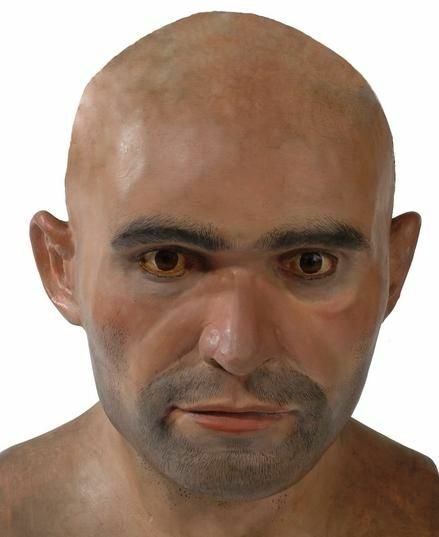 Cro Magnon looked if anything like a modern Amerindian not European at all. Hehe Mike, if such thinking makes you happy...why do you read such articles that discuss some other point of vies? BTW,if you think that Neandethals are paying me for this "propaganda", because of their secret interest in 21st century, thank you for making my day. We did not mate with neanderthal's! that's pure propaganda. Maybe your family comes from neanderthals but mine sure didn't. cro-magnons and modern humans have no neanderthal dna. Please, where is the dog sculpture from? 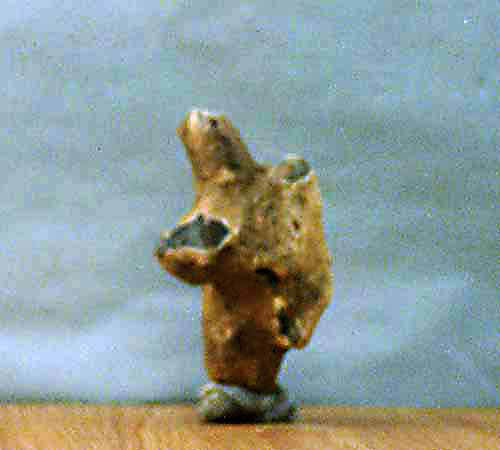 I am doing a research about ancient dogs and it would be very useful to know the Neanderthal site in which the dog sculpture was found. Thank you. Great comment, One moment. You said it all what matters. Thank you for contributing here! 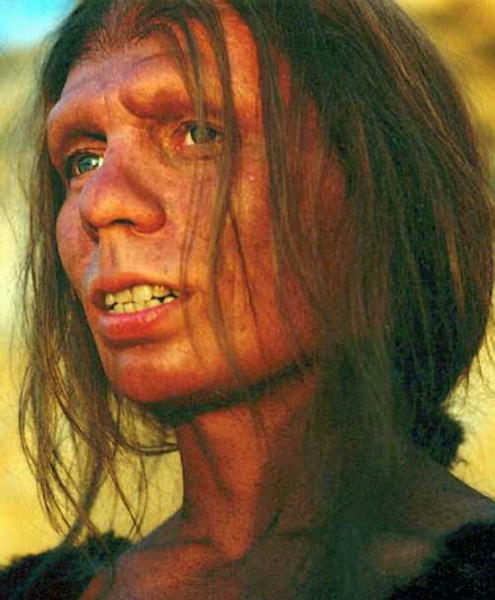 Neanderthals were humans, despite some differences in forehead size, brow ridges, posture, etc., there is no reason to doubt that Neanderthals were human. There were clearly medical reasons for some of the anatomical differences — arthritis, rickets, lack of vitamin D, and nutritional deprivation could cause bone problems that would account for some major differences — they are not because Neanderthals were non-humans. Neanderthals living in Ice Age climates certainly would have been susceptible to such problems. There were claims in 1997 that DNA tests showed that Neanderthals and modern humans were different. But points 10, 11, and 12 above show more up-to-date research than those DNA claims, and the Trinkaus research confirms an overwhelming number of previous findings. 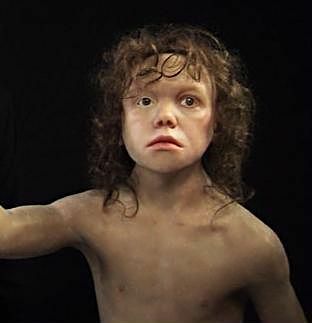 Dr. Trinkaus said the more recent discovery of the part-Neanderthal boy seemed to undermine interpretations of the DNA research. He said the interpretation of the 1997 DNA research was “demonstrably wrong”. He and others clearly equate Neanderthals and modern humans as all interbreeding humans who were not even a separate subspecies. Let's face it. We are the only members of the Homo genus on earth. And all humans are interfertile. Even though we may speak 6000 different languages across the planet, and range greatly in height and build, we can breed with other humans anywhere on earth and have living human offspring. 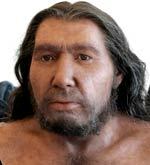 If Neanderthals were Homo like us, and everyone admits they were, then they would have been able to breed with us and have human children. 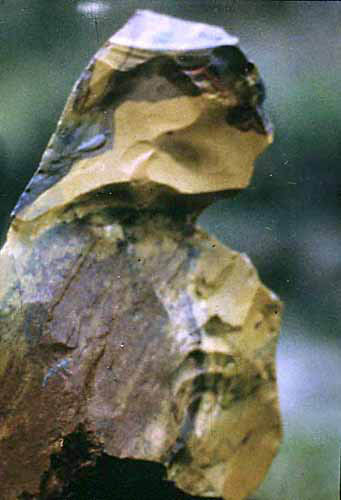 Anthropologist Louis Leakey said Neanderthal grave sites were intentional some having gravestones over the grave and this showed that Neanderthals displayed keen self-awareness and concern for the human spirit. Some Neanderthals buried their dead with flowers in their hands, and many of these plants have medicinal properties that range from pain relief to alleviating inflammation. Humans may do things like this, but as far as we know no animal ever has. Again, this shows that Neanderthals were humans. 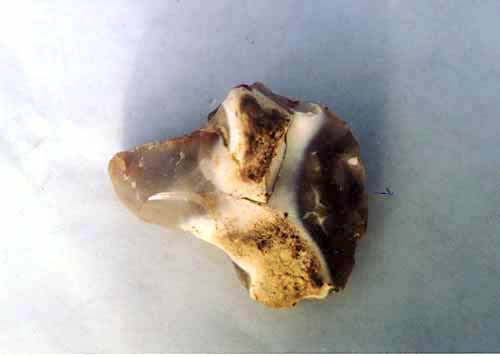 In 1996, archaeologists in Slovenia reported finding a flute made by Neanderthals that was carved from the thigh bone of a bear. The flute's music was based on the same seven-note scale used in Western music today. Well now, most of us cannot play a flute, let alone make one, but some humans can and no non-humans do. So Neanderthals were humans. 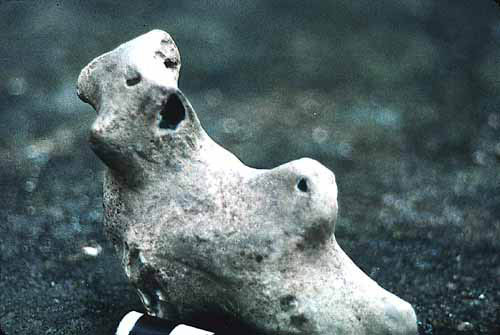 On May 2, 1998 New Scientist reported that a careful study of Neanderthal skulls revealed that their hypoglossal nerve canals were the same size as our own today (in chimps they are only half as wide). So Neanderthals could talk like humans although no non-human can. Neanderthals were just like us. Thus there is no evidence for Neanderthal behavior being more brutish, or less brainy, than other humans. 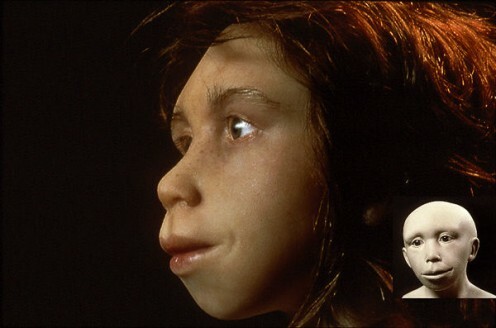 The New York Times of April 25, 1999 reported that some scientists now believe that Neanderthals and modern humans not only coexisted, but also that they cohabited. “They intermixed, interbred and produced offspring.” The report says further, “Neanderthals and modern humans presumably were more alike than different, not a separate species or even subspecies, but two groups who viewed each other as appropriate mates.”, the fact that some scientists believe they did is enough to show that they were clearly humans. 500.000 years ago, our ancestors "homo heidelbergensis" separated - that ones whom we know as "neanderthals" staid in Europe and Asia, and the rest of people went to Africa, so from them developed that people whom we today know as "cro-magnons" . Because climate is completely different in warm Africa then in cold Europe, the both groups started to change over the time. They did not interbreed for more then 400.000 years (because they were not in physical contact) and it is logical that there is some DNA difference. As you can see, the both groups have completely same origin and inheritance. The rest is pure logic: if our ancestors are "homo heidelbergensis" (scientists agree with that), the both groups have to be our ancestors as well. Very simple. You will read very various scientific researches - because scientist are humans, so not always objective. 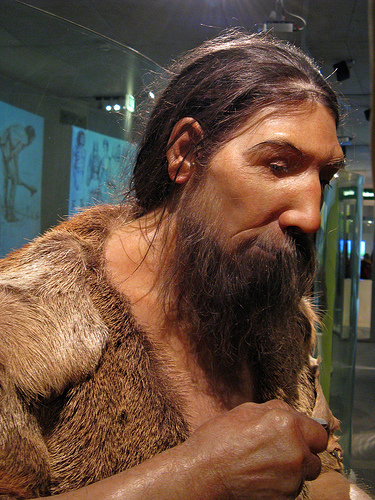 mDNA research shows the connection between neanderthals and cro-magnons (same inheritance - please read reports again, word by word, do not stick only to conclusion, use your own brain) but what some scientists are not willing to admit is - That the differences that are visible between two groups of DNA have to occur after half of million years of separation. This is normal process of different DNA development. Thank you very much for the visit and comment. A fascinating article with a great deal of detail. By "people" having type "O" blood, are you talking Neanderthal or Cro Magnon? Could you please name your source on this data? I've read from mtDNA studies that Neanderthal cannot be ancestor of Homo sapiens. While a few studies show Neanderthal disappearing about 24,000 BC, the less controversial studies that I've seen show a disappearance closer to 28,000 BC. Recently, in an attempt to find a biblical timeline compatible with those of science, I discovered an interesting code in Genesis that answers a great many perplexing questions I've long had about the Bible's first book. What's interesting about this new timeline is that it places Noah's Flood at 27,970 BC, about the time most studies show for the extinction of Homo neanderthalensis. Certainly, this is not a conclusive study, but it raises an interesting idea. 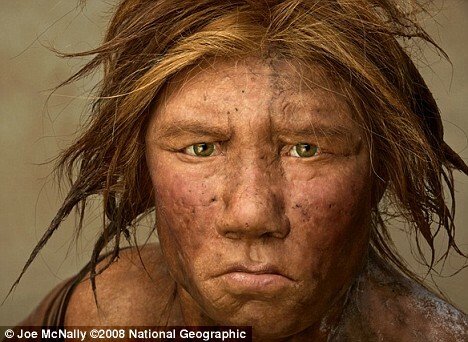 Could Neanderthal man have been the target of that Flood? Such an idea certainly gives new meaning to the "corruption of flesh" mentioned in Genesis 6, if Neanderthal was eliminated because of marriages between the "sons of God" and the "daughters of men." And as your pictures show, Neanderthal could easily have been the "daughters of men" found to be fair by the "sons." Details in my upcoming book, "The Noah Mystery." 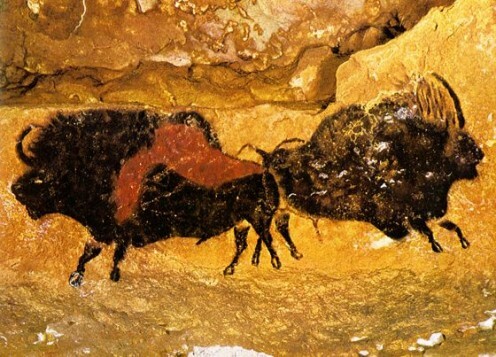 Nice recollection of art and culture of the Neanderthals. Obviously this subject has been under great debate, both colloquially and scientifically... I suggest (I would also love to do this) that we combine a lot of information: from scientific molecular data (mtDNA and phylogenetic inferences), with history and anthropology, etc, to gain a better understanding of our ancestry.. Obviously, in this day and age, we are related to each other... our ancestry seems to be a bit fuzzy still. Thank you very much, Tarlo, for your visit and comment. Wow, I kinda look like a neanderthal (like my chin slopes backwards like one...weird). Really neat information, though. I learned a lot. Thank you very much, Beata. I will certainly visit your links. Thank you for sharing part of your family history. Dear Tatjana, your interesting and well researched article about our human history made my day. I also believe that our evolution was much more complex than even scientist want to believe, unfortunatelly our need to classify everything neatly and 'put into boxes' works against us sometimes. We need to be more open minded and challenge our misconception in order to find out more about our beginnings. Mentioning just mine humble history, my family, both from mother's and father's side was forced to leave Croatia three centuries and they settle in Slovakia. They created their own willage there with their own customs and language. My Grandparents spoke Croatian. I was born in Slovakia and migrated to Australia twenty years ago where my children have been born. I think it similar with human evolution on bigger scale, we move, change, adapt and maybe come back to our roots to start all over again. A very interesting hub! 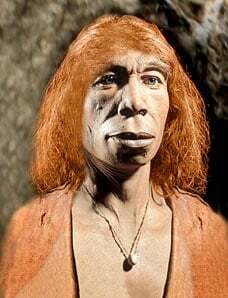 It just makes one wonder...if that red hair in the family came from one of these Neanderthals! I guess we will never know for sure, we can only hope that one day science will find the answer. 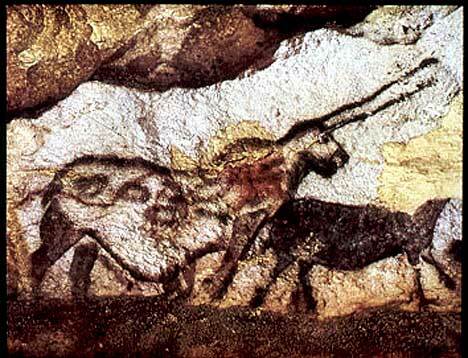 Néanderthal was certainly to be closer to us on step badly of points of sights, than what one can think, considering its artistic capacities and its exceptional competences to work its tools! It was to have the same signs of intelligence as us, the same potential bases, without having average the techniques we have nowadays and it is right that which makes the difference. It was without any doubt very far from the coarse image which one wants to give him!> > Almost nobody wants to almost only accept so that I discovered in the Dordogne in 2006, in the world!!! and yet it is of time, without artifice, in its juice! It can be a question of Néanderthal, in all the cases that resembles to him enormously, but that perhaps also Cro-Magnon. Nevertheless as regards giving an idea of how were our remote ancestors one cannot better do! Well,BB, you might write the Hub about them...Many thanks for the visit. Really great hub. In Indonesia we have Java man - phithecantropus erectus and megantropus. Nice to get more from you towards understanding your position. An option! i must acknowledge that i like your care about your ideas and your heb. Read more from you on other subjects! Thank you Charlesh for your kind understanding. There were so many readers before you reading this Hub, more then 3000 and you were the very first one to complain. I will never change my opinion just because ONE person does not like something I write, think or do. Science started to change the approach about Neanderhals many years ago, in the schools in Europe we learn scientific approach which is different then your old view about that subject. 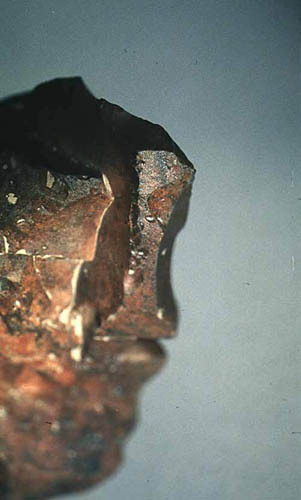 On the beginning, when first artefacts of Neanderthals were found, science was wrong (as so many times in the known history), and science admitted that and changed the approach. It is not very wise to mention "science" as ultimate knowledge because every scientist has different theory about the same subject, so what is "science", then? Many various theories about the same subject is not something on which any of us can rely. We also have intelligence and we have right to use it. Theory about "homo sapiens heidelbergiensis" which separated and united again is - scientific theory. The rest of truth you can see in the faces of the people, we call Neanderthals. Modern science gave the new look to their sculls, with the help of forensic SCIENCE, so everyone can see that they look the same as many people today which is very scientific proof that even today live people who directly inherited from their ancestors - the most obvious thing - and that is look. 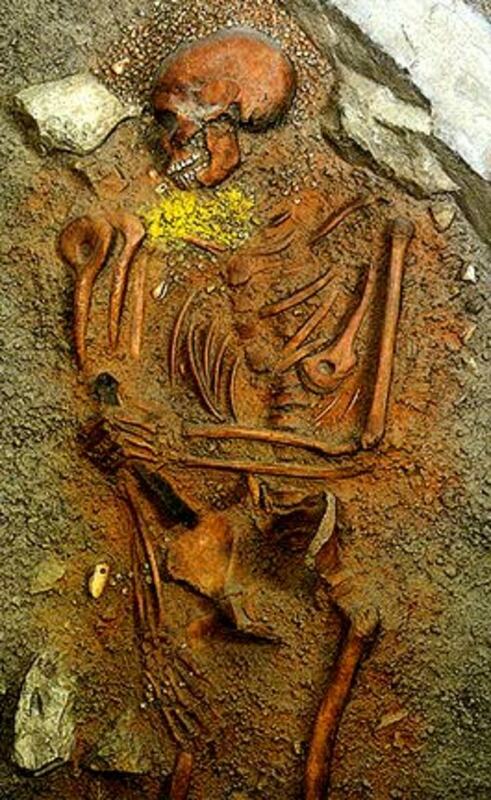 Research of mitochondrial DNA does not deny that connection. I would be having very bad opinion about myself, that instead of using my own intelligence , I sit and wait that all scientists of the world find one perfect theory about certain topic and all of them agree about that theory (what is impossible) , than to wait that all people of this world (especially that ones who never read about the newest discoveries) learn that new theory- and after all of that (what will never happen) I could give myself permission to write the Hub about it. Thanks for your comments, every one of us can use the brains and try to solve the puzzle. History of humanity is history of every human being, not only of scientists, so we all have right ( even duty) to try to solve it. Alright Tatjana! i understand your option is religious not a scientific attempt to unravel a puzzle. Have a nice campaign. I do pay you back nice regards for your efforts to sustain your hub! Heh, Charlesh, your problem might be that you were obviosly sleeping in the primary school when there was class about neanderthals as human ancestors. Last 30-40 years children in schools (at least here in Europe) do not have problem with accepting that. It is curious that you are forcing to descend from the Neandertals. All this is quite puzzling to make you going for such an exclusive choice. I do think that there is a lack of logic in your reasonning. Take this: from Heidelbergiensis to neandertalensis/Cro-magnons (separation result) and then encounter of these two groups with interbreeding. 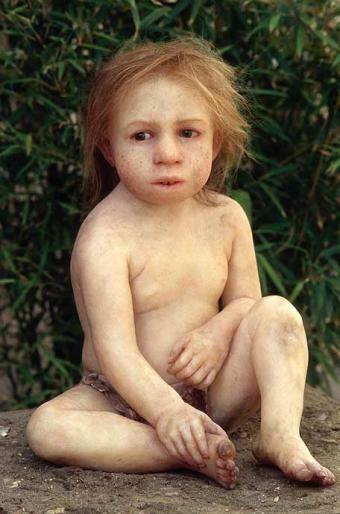 IF interbreeding is true and known that the neandertals have gone extinct why are trying to distort the history? Either you are a hybrid type or a pure cro-magnon. I think it wiser to wait for more discoveries to prove your aspirations than propagating a puzzling information or raise a debate instead of pretending to teach! Thanks Dalia for your comment. Let me explain: old theory was actually saying the same: 800.000 - 500.000. years ago there were living in Europe "homo heidelbergiensis": due to the change of climate, one part of the same people left Europe (future Cro-magnons) and went to Africa and gradually changed because climate there was very convenient, the rest of same people stayed in Europe and gradually adapted themselfes to very cold climate of ice age. (Neanderthals) This huge change in climate, gradually created some change in DNA - what is normal - neanderthals were living in conditions none of us today could survive. Thery were living separately for very long time. Few hundred thousand years later - they met again. They had children among themselves. 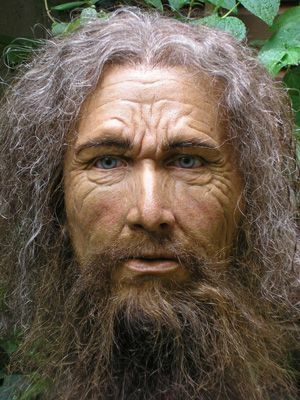 Scientists never denied that "homo heidelbergiensis" are human ancestors - actually ancestors of the both Neanderthals and Cromagnons. 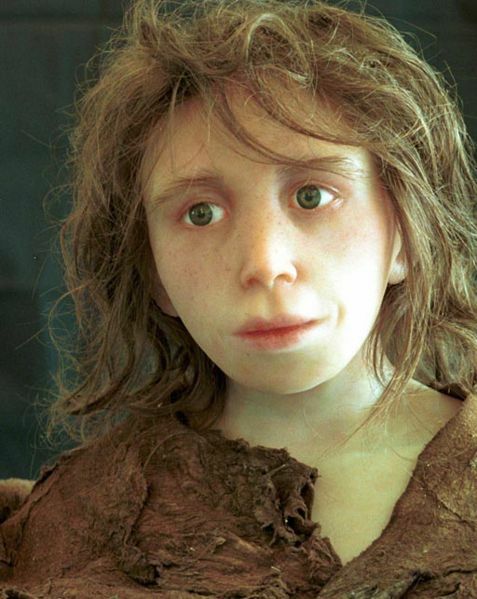 In this part of Europe where I live, we do not have any problems with accepting Neanderthals as our ancestors, in my country is Krapina cave and from my early childhood I was learning in school that Neanderthals are also human ancestors. White people in USA and Australia came from Europe, so - our ancestors are directly the same. I hope now our human history sounds more logical,since I have mentioned "homo heidelbergiensis". thank you so much for your great comment. I also wait for new discoveries about human roots. We know so little about our human history. BTW research of mitochondrial DNA proved that Neanderthals are our ancestors...although it takes time that we all fully accept it. I'm here to drop another possibility lol. I love everything about the early hominids. According to "Life after People" Virtually everything that people have, if people were to disapear, would be completely gone after 150k years. Absolutely no evidence of people would be around except possibly mount rushmore and the great wall of china. It's amazing how hominids have been around so long. And we're part of that awesome legacy. I hope we discover something even more amazing about the Pre-Homo Sapiens Sapiens hominids soon. Thans you very much, Lgali. Hi, Dolores. Well humanity is very cute because we tried to deny Neanderthals as our ancestors, and at the same time we accepted monkeys as our ancestors. He, he, he, we do have interesting approach about ourselves. I cannot agree more with you. Thanks ,Whitey, for your comment. The woman up there is preparing herself to take a swimm. That is the reason she is naked. Swimming is not sexual act. This is a scultpure, not real women. 150.000 yeas ago people were swimming without any clothes, the same as nowadays we do not go fully dressed in the bath. I hope you have different approach about that pic after my comment. Awesome informative hub. Hi there... we must be relatives! hehehe o(^-^)o always great to be reminded how one we all are. This world has a way of distracting us from these important facts. Please go to her hub (she wrote only one) and write something inspiring. She used to be in communication with me few months ago through one of mine Hubs, but she stopped communicating. Now she wrote the hub, where she says that she wants to kill herself tonight. I loved all the pictures! They all do look very similare but the children with more rounded checks. This stuff interests me because everyone keeps telling us that they were very simple people that had not an ounze of intellegence. If I were living in that age and had to do things for food and survival--don't you think they had at least that much intelligence to not be the one to get killed. Hi, PP, I am so glad to see you here. Well, I am alternative healer and counselor: these gives me freedom to stick my nose in everything what I find interesting. I am so glad you liked my Hub. No, you are not dumb: none of us cannot now everything, but: ALL OF US TOGETHER DO KNOW EVERYTHING. Thanks for the nice words, you have given me big motivation. This one is completely unlike you. I though you are just expert on human relationship (you are counselor, right?) but look at you, you know so many other things too. Looks like you have done some very good research. I just loved it and must confess that this fact was not at all known to me. O I am so dumb! You know what? You have brought in light a very important fact. It was very very informative, I'll tell you. Just keep coming TM. Hats off to you. You ROCK! Well Tony, ofcourse that there were differences between Homo Sapiens and Homo Sapiens Neanderthalensis: Homo Sapiens were living in the warm parts of Arfica, Homo sapiens Neardethalensis - in the horrible cold climate of Ice Age. It is said that the both of them have same ancestor: Homo sapiens Heidelbergensis, from which they separeted 500.000 years ago, one part of the people traveled to Africa, and changed through the warm climate conditions, and the other stayed in Euroasia. One part becomed Homo sapiens, the other developed in Homo Sapiens Neanderthalensis. They were separated for at least 300-400.000 years, so DNA is changed, because they were living in complete different climate conditions, Climate change DNA,...other genes must become active in order to adjust to extreme change. But both of them have 23 pairs of chromosoms, and both groups have the same ancestors, Homo Sapiens from Heidelberg. Thanks, AIDY, I am so glad you enjoy it. Hi, Cgull, thanks for your comment, I agree with you. 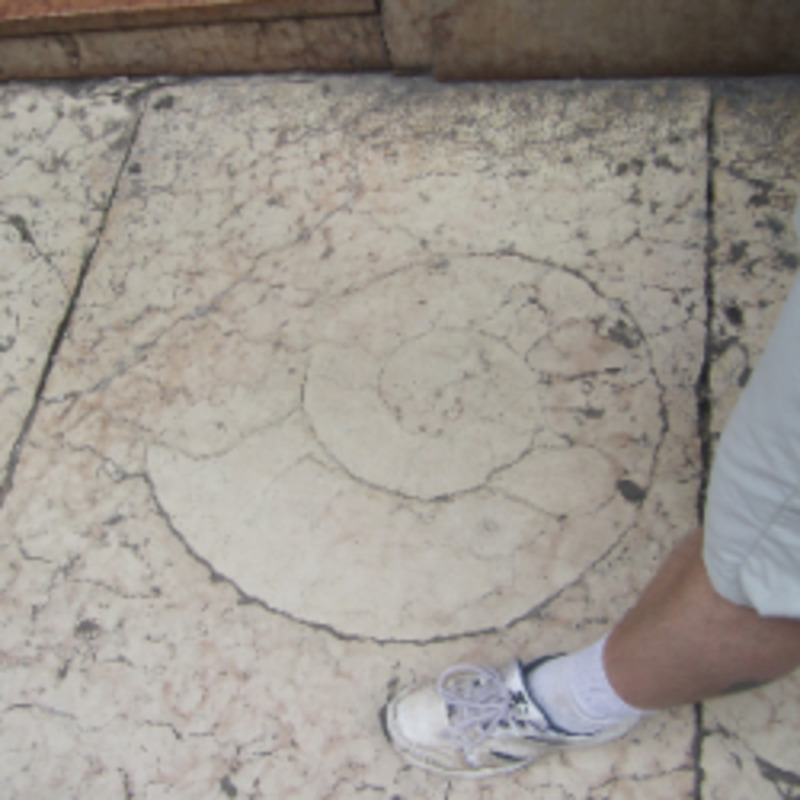 But, actually a lot of artifact is found...and now scientist are aware of much more details then 50 or hundred years ago. I hope there will be much more informations through the DNA investigation....soon. I think now you selected a topic to create trouble for you. If you are from the same human specie that started with Adam & eve then we are relative. I think Adam & Eve story relate100% with our current specie. If you belong from chimps or any other specie then sorry, we are not even distant relative……..hahaha it is true & I mean it don’t even try to become my cousin. I believe we are all from human specie but there are many variations among us because we live in different environment all over the world. Neanderthals were a separate species to Homo sapiens. I really enjoyed this hub! It is always awesome to learn about human origins from a scientific aspect. Fascinating history of Neanderthals, too bad they didn't live enough history to know more about them. Well doneTatjana. We all have the same ancestors, I will write about it in one my next Hubs. We all have the same genetical roots, with small differences. Well, white Americans came from Europe mostly, so....Actually this is compliment for all of us: we can be proud on our ancestors: they were great survivors, we would not manage that if Ice Age is now, they knew about spiritual techniques much more then any of us can imagine, they were connected with nature, there were good singers....unfortunately they did not have Internet, I assume that using the telepathy was very common. By having blood type 0, it means that you can activate the amazing strength, vitality and good immunity from your genes. It means that your soul lessons are somehow connected with the oldest parts of humanity, who used to have blood type 0. Excellent by my opinion. I've got blood type O. Does that mean..? Oh no! Oh relief. I don't have red hair! 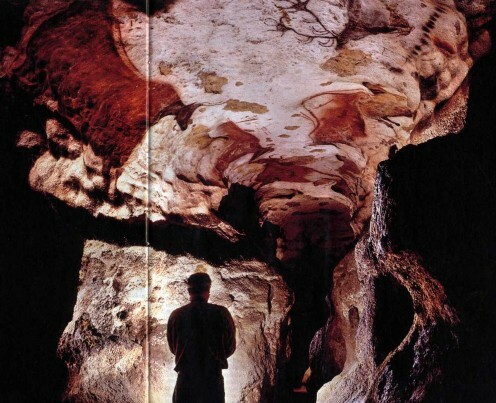 These people lived between 30.000 - 150.000 years ago in very difficult conditions of Ice Age, in the caves. They did not have bathrooms or hot water, nor central heating, nor any possible comfort we have now. Simple fire. Not mirrors. When someone cleans ash from fire ( my experience), it can get dirty in few short seconds, he,he,he. But, what you see on the pictures, is not a dirt: a lot of them had red hair, as scientists revealed recently, so these are the brown spots on the skin, flecks, which reds very usualy have: it is not the dirt! You made very good point. It is also discovered that people had blood type "0" at that time, at least that ones whose bones are checked. 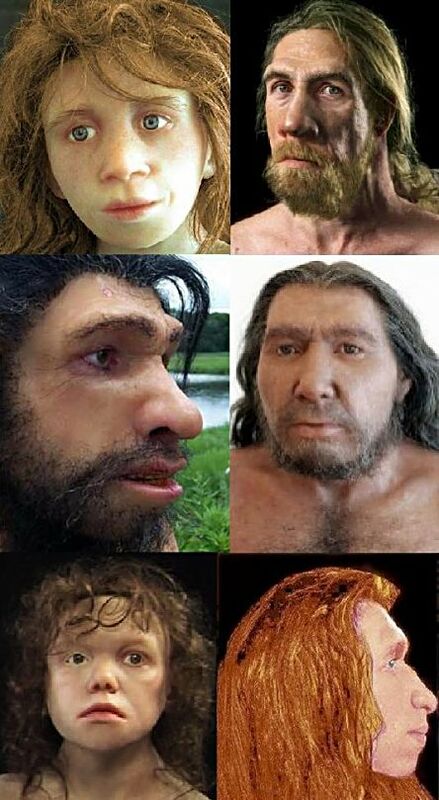 The real physical look of these people is very amazing discovery, scientists used to present them as half-animals, now we know - they looked the same like us. Dear Shannon, thanks for comment. 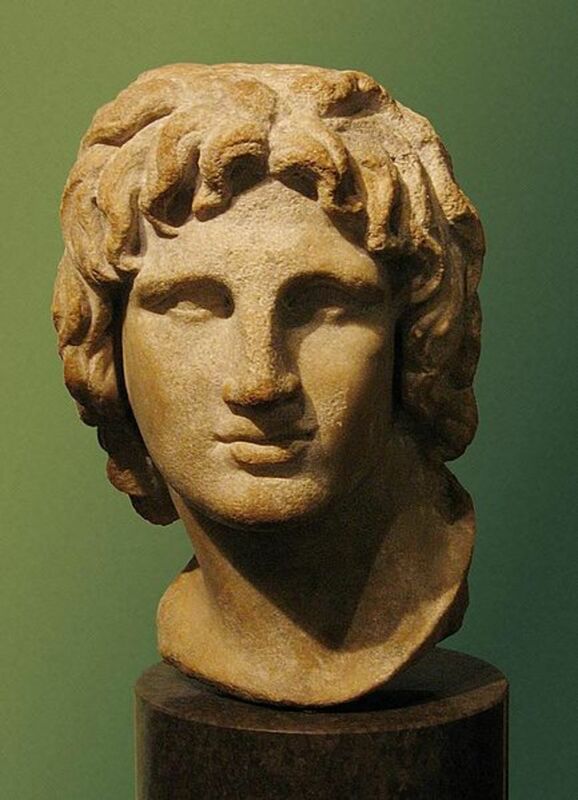 It is amazing how people did not change their faces an so many thousands years passed by. Thanks, G-Ma for your comment, exactly, they just look like ordinary people. 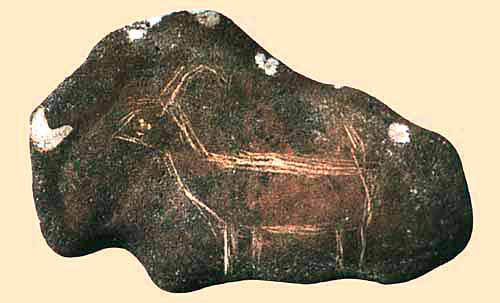 Beautiful drawing in th caves was done by the artists, adults, 30.000 years ago. Thank you for stopping by, be blessed. Thanks Mike for your comment. A few of them look like my neibhourgs. Nice hub..great pics and well researched! Reminds me of my family Christmas pics! Interesting! Thanks! I just knew that you would say that. I also spoted some similarities. Well I do not have blue eyes...that is difference. And I am older. That is second difference. I am not from Gibraltar. That is third difference. Well, I believe that Neanderthal children were far more developed then we are aware. Thanks for compliment. Second and third portraits are from Croatia, 150.000 years ago. Well Americans mostly came from Europe or Africa. So, Neanderthals &amp; Cro-Magnons are your ancestors too. So, we are relatives. Now when we know how we were, it is important to find out where we are going? It was no need to delete your cute avatar. Dobro sam kako si ti Tatjana. First portrait looks like yours there is a lot of resemblance. An excellent hub very well researched good job keep up the good work.